Many kids say they love their mom and dad equally, but there are times when even the best prefers one parent over the other. The same can be said for how the body’s cells treat our DNA instructions. It has long been thought that each copy - one inherited from mom and one from dad - is treated the same. 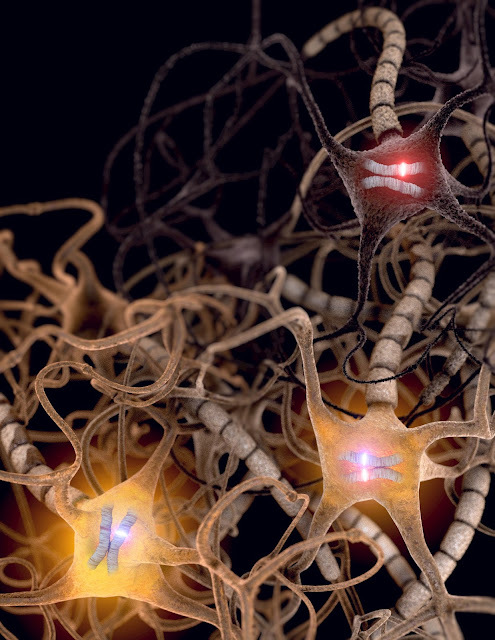 A new study from scientists at the University of Utah School of Medicine shows that it is not uncommon for cells in the brain to preferentially activate one copy over the other. The finding breaks basic tenants of classic genetics and suggests new ways in which genetic mutations might cause brain disorders. Many cells in the brain express two copies of each gene, one inherited from mom and one from dad. Others express just one copy. If the single copy happens to carry a genetic mutation, it may cause the cell to become sick. The discovery from the University of Utah offers a previously undescribed nuanced view of genetics that has consequences at the cellular level. What the genetic imbalance could mean for our health remains to be determined, but preliminary results suggest that it could shape vulnerabilities to disease, explains Gregg. Normally, having two copies of a gene acts as a protective buffer in case one is defective. Activating a gene copy that is mutated and silencing the healthy copy - even temporarily - could be disruptive enough to cause trouble in specific cells.